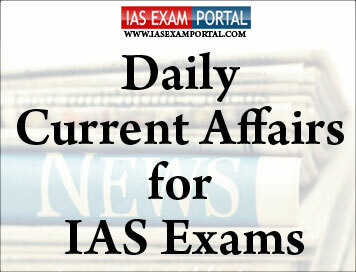 Current Affairs for IAS Exams - 30 JANUARY 2019 | IAS EXAM PORTAL - India's Largest Community for UPSC Exam Aspirants. Supreme Court on Tuesday asked why Right to Information bodies, especially apex forum of Central Information Commission (CIC), were almost completely manned by bureaucrats. Justice A.K. Sikri, who led a Bench comprising Justice S. Abdul Nazeer, pointed out that Right to Information Act of 2005 mandates that people with a range of experience and from various fields should serve as information commissioners. Justice Sikri pointed out that out of 280 applications received for post of information commissioners at CIC recently, 14 were shortlisted, and y were almost all bureaucrats. Justice Sikri said may be even search committee shortlisting eligible candidates was made up of bureaucrats. “ psyche is that y feel only class eligible for such posts is this one (bureaucrats),” judge commented orally. Ms.Bhardwaj alleged that Centre and State governments “have attempted to stifle functioning of Right to Information Act by failing to do ir statutory duty of ensuring appointment of commissioners in Central Information Commission and State Information Commissions in a timely manner”. Due to non-appointment of information commissioners, several information commissions take many months, and in some cases even years, to decide appeals and complaints due to accumulation of pending appeals/complaints, thus defeating entire object of RTI Act,” petition said. Home Ministry on Tuesday approved release of Rs. 7,214 crore to six States and a Union Territory for damage caused by natural calamities during kharif season 2018-19. A statement by Ministry of Home Affairs said a high-level committee, headed by Home Minister Rajnath Singh, sanctioned additional assistance of Rs. 7,214.03 crore from National Disaster Relief Fund. fund allocation is a part of relief package worth Rs. 6,680 crore earmarked for Andhra Pradesh, Maharashtra, Gujarat and Karnataka. Maharashtra has got lion’s share of total package, with an allocation of Rs. 4700 crore, while Karnataka will get Rs. 950 crore and Gujarat Rs. 130 crore. Union Minister of Agriculture and Farmers’ Welfare Radha Mohan Singh, on Tuesday, announced this through Twitter handle that Central government had approved Rs. 900 crore to Andhra Pradesh for 2018-19 kharifseason. Reserve Bank of India on Tuesday said that it will inject Rs 37,500 crore into system through purchase of government securities in February to increase liquidity. RBI said it has been monitoring evolving liquidity conditions and durable liquidity requirements of system. In a release issued on Tuesday from Mumbai RBI stated that it has decided to conduct purchase of government securities under Open Market Operations (OMOs) for an aggregate amount of Rs 375 billion in month of February 2019 through three auctions of Rs 125 billion each during 2nd, 3rd and 4th week. release stated that re will be no auction during first week due to scheduled MPC meeting. apex bank said that it would inform about auction dates in due course. fast moving consumer goods (FMCG) industry is expected to clock double digit growth in current year, though growth is likely to be lower than that of previous year, which saw sector benefit from overall health of economy and lower inflation. While GDP is expected to be buoyant at 7.5% in 2019, Consumer Price Inflation (CPI) estimates for year suggest that it will gradually increase. However, it will be within 5%, it added. Indian rural consumption story is projected to be continuing in 2019. Various farm level initiatives by government including agri credit and direct subsidy transfer, along with orientation on minimum support prices for crops, are expected to boost farm income furr. Consumption growth in 2018 was led by favourable macros like growth in GDP, lower inflation and manufacturers passing on benefits of margin expansion from GST regime. Trump administration on Monday imposed sanctions on state-owned oil company of Venezuela, a potentially critical economic move aimed at increasing pressure on President Nicolas Maduro to cede power to opposition. National security adviser John Bolton and Treasury Secretary Steven Mnuchin announced measures against company. y are also aimed at boosting Mr.Maduro’s rival, opposition leader Juan Guaido, whom administration recognized last week as Venezuela’s legitimate leader. sanctions will include a freeze on any assets firm may have in U.S. jurisdictions and bar Americans from doing business with it. sanctions will not likely affect consumer prices at gas pump but will hit oil refiners, particularly those on U.S. Gulf Coast. Venezuelan oil exports to U.S. have declined steadily over years, falling particularly sharply over past decade as its production plummeted amid its long economic and political crisis. Critically, U.S. refiners are among few customers that pay cash to Venezuela for its oil. That’s because Venezuela’s oil shipments to China and Russia are usually taken as repayment for billions of dollars in debts. Syria and Iran signed 11 agreements and memoranda of understanding late Monday, including a "long-term strategic economic cooperation" deal aimed at strengning cooperation between Damascus and one of its key allies in civil war that has torn country apart. agreements covered a range of fields including economy, culture, education, infrastructure, investment and housing, official Sana news agency reported. Syrian Prime Minister ImadKhamis said it was "a message to world on reality of Syrian-Iranian cooperation", citing "legal and administrative facilities" to benefit Iranian companies wishing to invest in Syria and contribute "effectively to reconstruction". agreements included two memos of understanding between railway authorities of two countries as well as between ir respective investment promotion authorities. In relation to infrastructure, re was also rehabilitation of ports of Tartus and Latakia as well as construction of a 540 megawatt energy plant, according to Khamis. In addition re were "dozens of projects in oil sector and agriculture", he added. civil war has taken an enormous toll on Syrian economy and infrastructure, with cost of war-related destruction estimated by UN at about $400 billion. Iran will stand "alongside Syria during next phase that will be marked by reconstruction", Jahangiri promised. new agreements come against backdrop of fresh US sanctions against Iran, while Syrian President Bashar al-Assad's regime and several Syrian businesspeople and companies are already on US and European blacklists. Researchers found that people who drink heavily may be changing ir DNA in a way that makes m crave alcohol even more,” said Dipak K. Sarkar, professor at Rutgers University in U.S. This may help explain why alcoholism is such a powerful addiction, and may one day contribute to new ways to treat alcoholism or help prevent at-risk people from becoming addicted,” said Mr.Sarkar. For study, researchers focused on two genes implicated in control of drinking behaviour: PER2, which influences body’s biological clock, and POMC, which regulates our stress-response system. findings may help in identifying biomarkers that could predict an individual’s risk for binge or heavy drinking. In addition, binge and heavy drinkers also showed reductions in gene expression, or rate at which se genes create proteins. se changes increased with greater alcohol intake. International Cricket Council (ICC) today announced fixtures for ICC T20 World Cup 2020 to be held in Australia. This edition marks first occasion when men and women tournaments will be held as standalone events in same year and in same country.